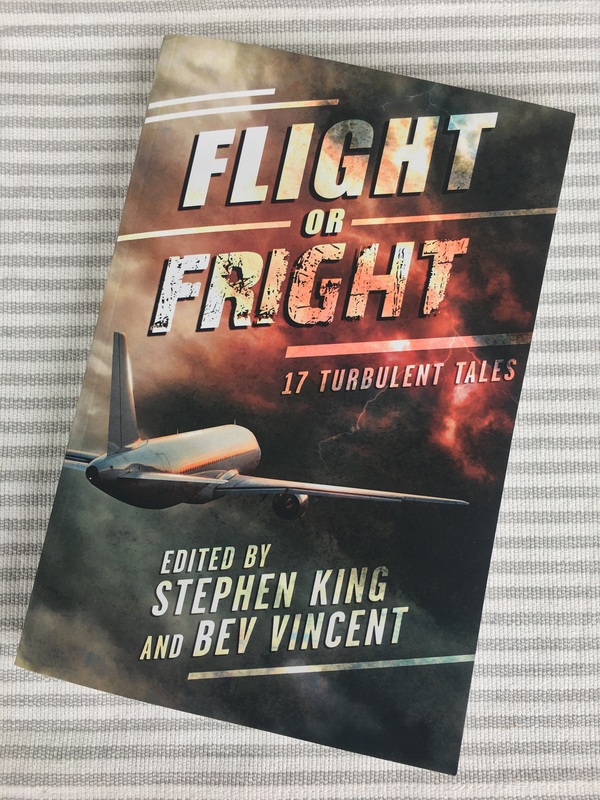 I was delighted to receive this ARC (Advance Readers Copy) of Stephen King & Bev Vincent’s Flight or Fright anthology coming Sept 4 from Cemetery Dance Publications with audiobook release from Simon & Schuester Audio. While I have yet to make it through each story, I wanted to share as much as I am allowed to here without any spoilers along the way. In his introduction, King details a near-death experience he had on a flight in the mid-1980’s that reads as much like a short horror story as any other in the anthology. 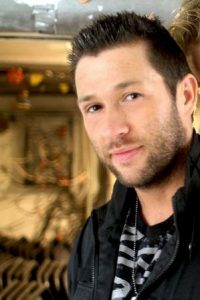 King has also written mini-intros for each story, including his own “The Turbulence Expert,” which – although brand spanking new – is classic King. This book is PACKED full of 17 turbulent tales by legendary authors like Sir Arthur Conan Doyle, Ray Bradbury, Roald Dahl and more. You’re not going to want to miss out on this one, folks. You’re also not going to want to take to the (un)friendly skies again anytime soon. Pre-orders for the first edition hardback and audiobook are now available! 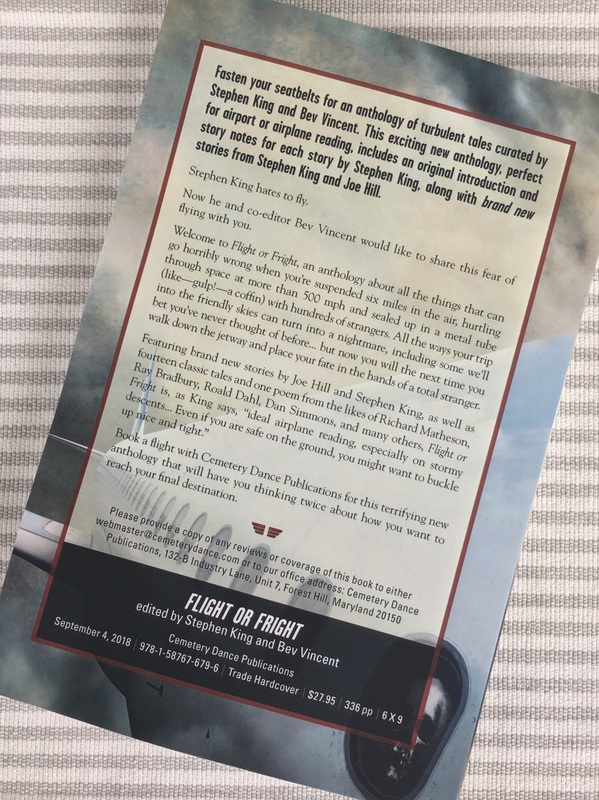 To order your copy of Flight or Fright, click here. 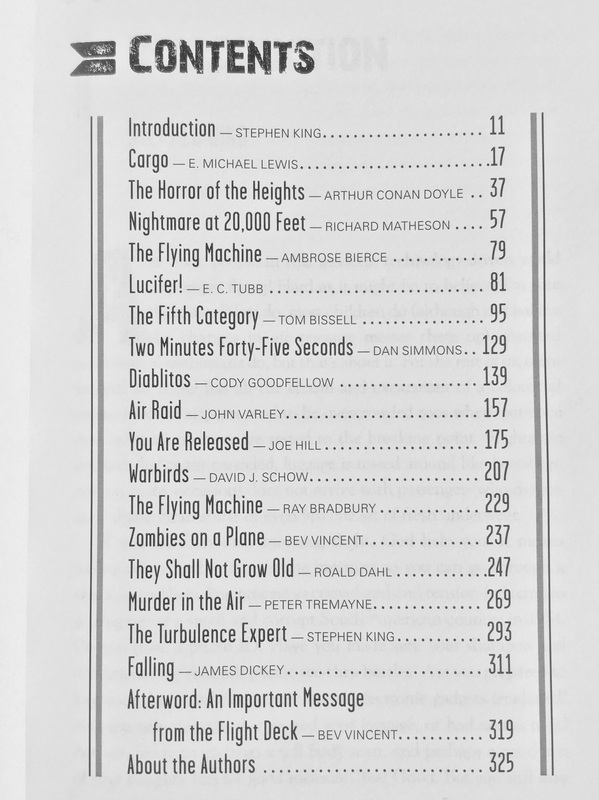 Enjoy your reading of FLIGHT OR FRIGHT !